A night at the Lido de Paris with France Tourisme ! 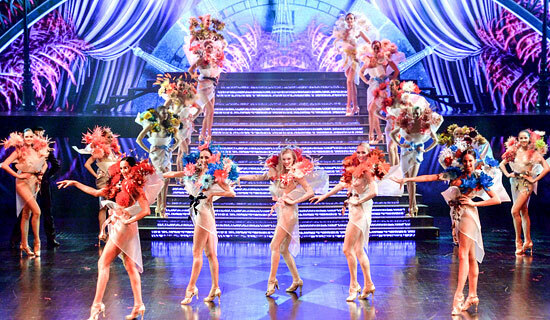 Let's get surprised by the magic of the new show"PARIS MERVEILLES" of the Lido de Paris ! All the greats have performed there from Shirley Maclaine to Laurel and Hardy, and Elton John. Why not come an enjoy an exceptional evening at the Lido. Delight in the revue "PARIS MERVEILLES" including the famous bluebell girls and the Lido Boy Dancers. See breathtaking scenes, a real ice rink, 23 sets and 600 sumptuous costumes. The Lido is more spectacular than ever ! 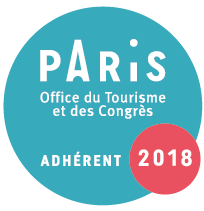 France Tourisme has selected, or created, plenty of nights with the famous cabaret, the Lido de Paris, including your reservation and your pick up and drop off inside Paris (optional or included). 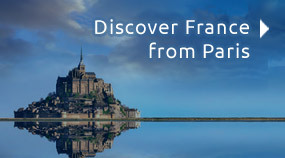 France Tourisme has created just for its customers exclusive offers with keen prices ! Enjoy the new show of the Lido de Paris ! 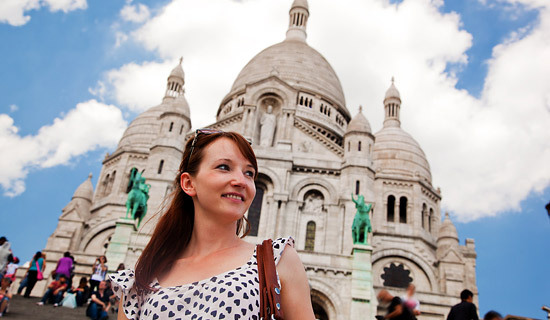 The cheapest price in Paris ! 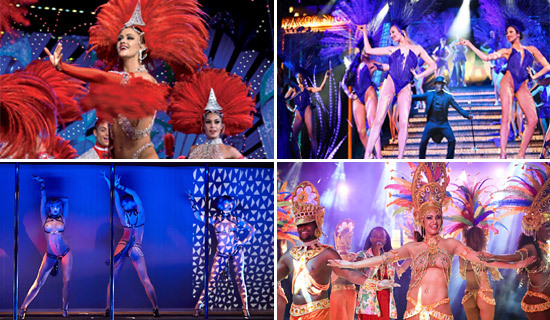 Your night includes entry ticket to the cabaret Lido de Paris to attend the show with a glass of Champagne. 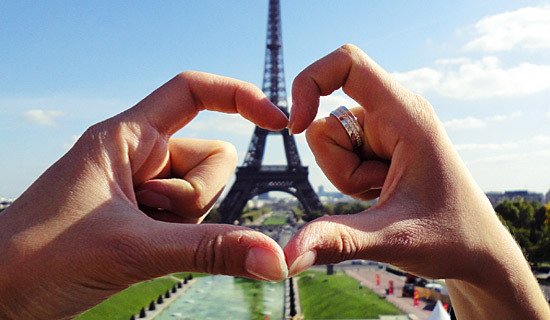 Discover the Magic of the show PARIS MERVEILLES. Champagne at the Lido de Paris ! 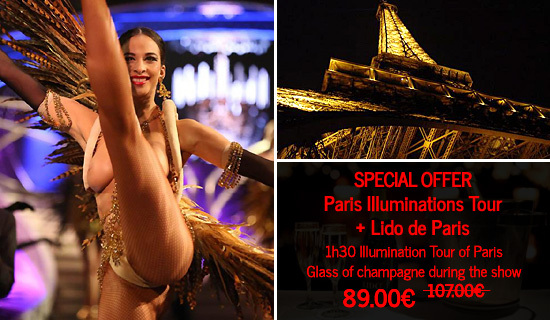 Enjoy our attractive offer : First show at the Lido de Paris! Your night includes the entrance to the cabaret, to see the show at 9:30 p.m., with one Champagne half bottle per person. Hurry up, show must go on! A one-of-a-kind evening on the Champs Elysées! 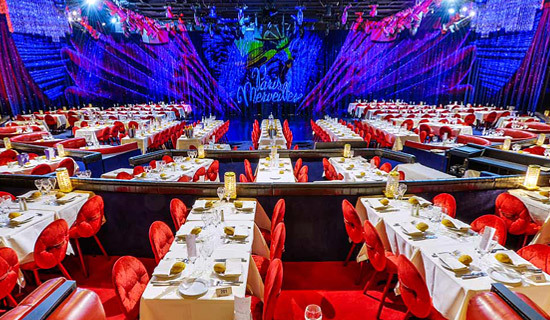 Have dinner in a famous brasserie located on the Champs Elysées and attend the 9:00pm Paris Merveilles show at the Lido de Paris at an unbeatable price! 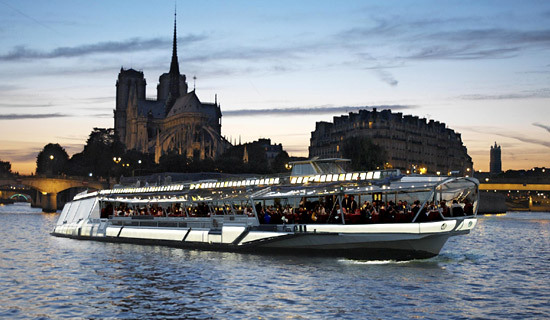 A GOURMET CRUISE WITH A PARIS MAGIC EVENING ! 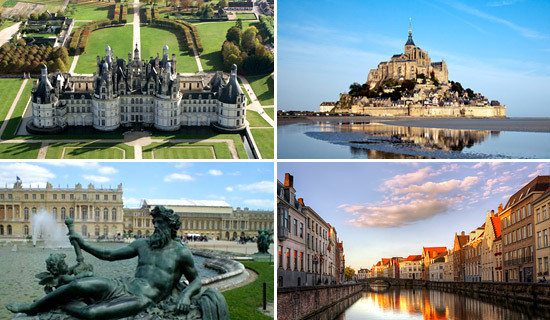 Gourmet cruise, Paris by night tour and Lido de Paris : a "Paris magic" package. Choose one of our offers to live a full night at the Lido de Paris! A special night with high prestige in the Champs Elysées, come to enjoy a refined dinner in a place full of prestige before visiting the Lido of Paris with a glass of champagne. Two prestigious places on Champs-Élysées Avenue welcome you for an exceptional night ! 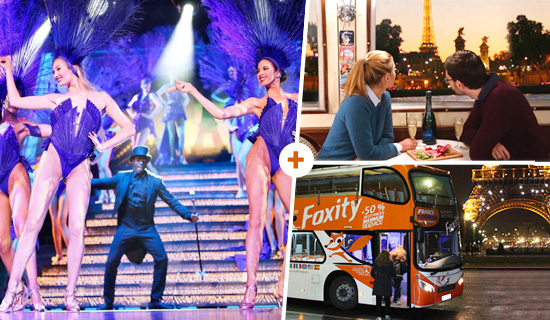 We propose a wonderful night starting with dining within a very famous restaurant in Paris, LE FOUQUET'S, followed by the music hall, the Lido de Paris.